Welcome back the super-soft big brother of our Small Teddy Bear. 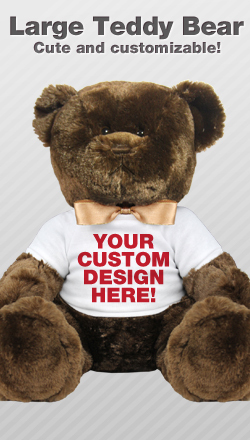 Customize his cute little t-shirt with your own special message. Perfect for sons and daughters, soldiers or even for yourself! NOTE: This Bear has hard, sewn-on eyes and is not suitable for infants.